Builders with property in the final stages of development, are hiring stagers to showcase the new house as if someone already lives there – they are hiring CSP®’s with the skills, knowledge and abilities to turn the shell of a house into a vision of a home. Hiring a CSP® is the final step a builder needs to turn the FOR-SALE sign, into SOLD! 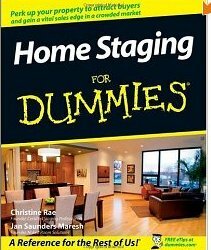 Model homes are usually overly decorated but staging enhances the features and benefits of living in that space. 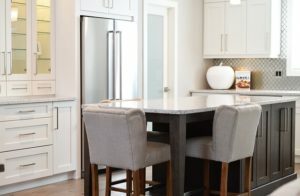 Statistics show vacant properties sell almost 80% faster when they are showcased with furnishings and accessories targeted to the demographic most likely to purchase. Many CSP®’s have their own inventory, or can access preferred pricing at rental houses. Staging with the buyer in mind they illustrate the lifestyle and visually support the value; making an offer just gets easier! It doesn’t have to be expensive. One builder recently saved $15,000 on the usual fee he paid to an interior designer by using a stager. Many interior designers make commission on the furniture they sell to builders, so naturally more furniture goes into the property. By scaling back the furniture buyers are able to see the space they are buying and not fixate about all the beautiful things they don’t have. Most people when they purchase a new home don’t have the luxury of buying all new furniture. It is important the lifestyle showcased in the new house is something they can relate to, otherwise you may miss the sale. Another important factor is getting it sold quickly so you can realize your maximum profit potential. A vacant property is costing you money; mortgage, property taxes, utilities and security! Staging makes perfect sense. Stage before the first open house – and secure offers right away. Hiring a CSP® to showcase your property is a small investment in getting the FOR-SALE sign to SOLD.